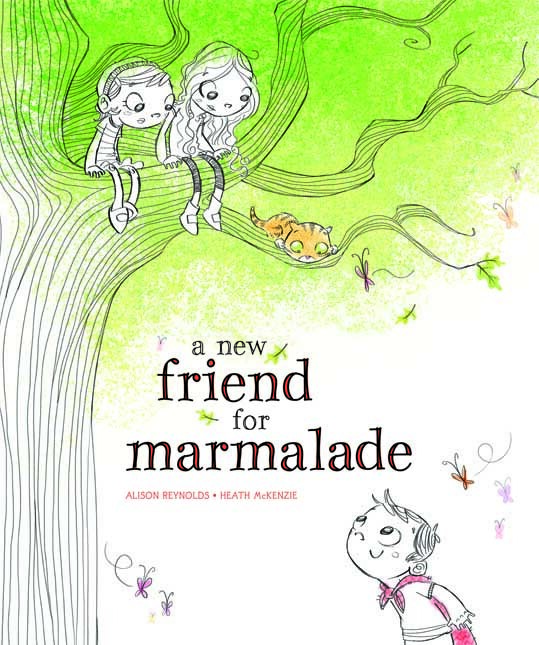 A New Friend for Marmalade is OUT! We’re celebrating with a blog tour. It’s going to be fast and furious! Join in and you could win a fabulous prize! Win a free picture book assessment by me! Just comment on this blog post or any other blog during the A New Friend for Marmalade blog tour and add the initials PB. The more you comment, the more chances you have to win the draw. Kelly, Happy for you to enter all the comps! Good luck and so nice to hear that you’re enjoying the tour! How could I forget???? CB, PB,NF,DW hope you don’t mind that I posted all the above!! Any of these prizes would be great! Good luck on the tour!! I absolutely love the characters…I love the name Marmalade! Best wishes in your writing and thank you so much for sharing this post. I found it very helfpful!! Yvonne, thanks so much for your good wishes. Glad you enjoyed A year with Marmalade and hope you enjoy A New Friend for Marmalade even better. Delighted you’re enjoying the tour, Linsey! Rebecca, so nice to hear that you found it helpful. Glad you enjoyed the glimpse into secret financial business, Cherri. This was really informative. great interview. Nice to see you here, Nicole! Good luck in the comps! Nice to see you here Mary. Thanks for lovely words. Alison. Hi Jaquelyn. Well that’s a good point. Speaking from experience? Alison. Thanks, Robert. I love picture books too and the challenge of chipping away until you have a simple story with complex themes. Oh thanks, Ramona. Hope you love the sequel as much as I do! Thanks, Tania! It is exciting. Kaye, Thank you for being so supportive. Hope you like Marmalade’s new friend as much as I do! And I’ll mention PB today as well. I can only try. Seeya. You had me at ‘New Friend for Marmalade’ then you mentioned CB. All sounds good to me. Looking forward to meeting Marmalade’s new friend.